The 35-year-old, Wambach have scored a total of 184 goals in 255 games and got retired in December last year. Her record is no match as of now of any man or woman in the international football history. “I take full responsibility for my actions. This is all on me,” Wambach apologized by writing this status on Facebook. 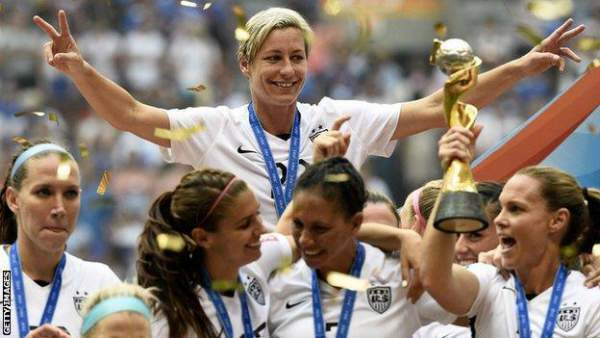 Abby has a number of records to her and helped the women team of the United States to clinch the 2015 World Cup. The local police stated that she was arrested when she run during a red light in Portland, Oregon. Wambach was found guilty under DUI after failing to the tests of sobriety. Therefore, she was locked into the Multnomah County Jail on the ‘drink and drive’ charges. However, she was released later on. After releasing, she made an official statement in which she apologized and promised to not to repeat such mistake in future. She also apologized to her family, friends, fans, and those who look to follow her. “Those that know me, know that I have always demanded excellence from myself. I have let myself and others down,” she added. Abby has a lot of titles and honors to her name. One of them is 2012 Fifa Women’s World Player of the Year. She is also a six-time US Soccer Female Athlete of the Year winner.